I was meeting with the Head of Communications for Northumberland, Tyne and Wear NHS Foundation Trust (NTW) when she began telling me about the re-design of their self-help guides when she offered me a box with the entire collection in! It was such a kind gift and I agreed to write a review on the ‘Stress’ self-help guide for Mental Health Awareness Week. This particular guide was written by Dr Lesley Maunder and Lorna Cameron, Consultant Clinical Psychologists for Newcastle Upon Tyne Hospitals NHS Foundation Trust. It begins in the same way that I’m NOT Disordered’s Mental Health Awareness Week posts have; with the definition of stress and a particular focus on the fact that it often means something different to individuals. 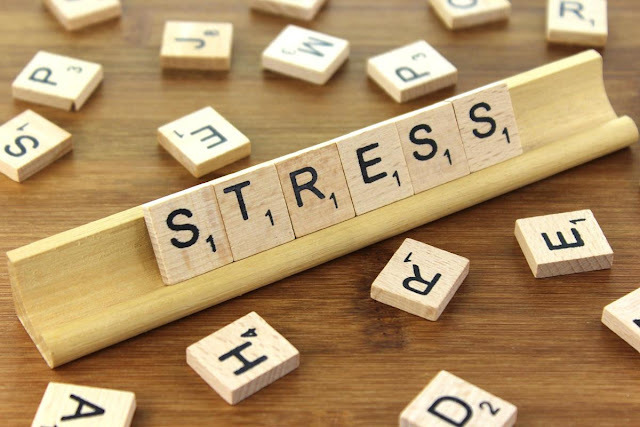 The guide includes the fact that stress can have both physical and emotional impacts on a person, something which I think is very important because this is often ignored or forgotten and so-called ‘invisible’ symptoms are missed and go unrecognised. With questions to ask yourself such as ‘are you expecting too much of yourself?’ ‘have you taken on too much responsibility?’ and ‘are you stressing about something that might never happen?’ The guide recommends keeping a gratitude diary to avoid focusing on the negative aspects of life and that if the stress is work-related then you should talk with your company’s HR department. The majority of the booklet is taken up by ‘HOW TO BEAT STRESS’ in which each letter stands for a different way to manage feelings/symptoms of stress. I found this incredibly useful, helpful, and simple to understand; as well as an excellent way of giving advice in a less boring method. H is for health – it’s important to take care of your physical health; especially if you’re exhibiting some physical symptoms of stress. O for organise – things can seem much calmer and easier to control when everything is organised and in order. W is for work – for some individuals, working can be a helpful distraction from overwhelming feelings of stress. T is for too much – it’s important not to take on too much work or too many responsibilities. O is for owning up – admitting that you’re stressed is one of the first ways to get help for it. B is for be in the moment – being mindful and aware of your current situation is essential in avoiding feeling overwhelmed or unable to function ‘normally.’ E is for eat a balanced diet. A is for alcohol – something that should be avoided as a coping strategy for stress. T is for time – it’s important to allow yourself time to experience this stress and to recover from it. S is for solve problems – you have to recognise that you can’t solve everything that comes up in life. T is for talk – something which can work as a useful coping strategy in managing stressful emotions; sometimes sharing your feelings and experiences with others can help you put it into perspective and develop a better understanding of it whilst also getting advice on coping. R stands for relaxation – an obvious one! E is for exercise. S is for say no – something that I’m forever learning; the power of recognising when you’re taking on too much and the ability to say no to anything that will just add to the stress. And the final S is for seek help. The booklet finishes with other useful contact information, books and downloadable resources to help manage stress.